You won't want to pass this one up. 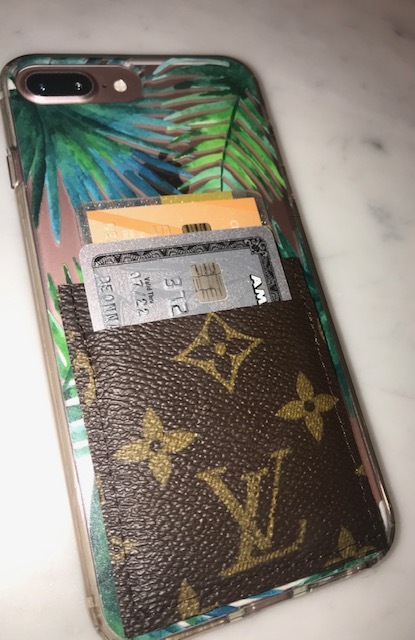 Repurposed Authentic Louis Vuitton card wallet with 3M adhesive. And when you get a new phone or case you can reuse it just buying more adhesive or emailing us and getting it for $2.00. Cause your wallet won't be old and ripped like the cheap ones. 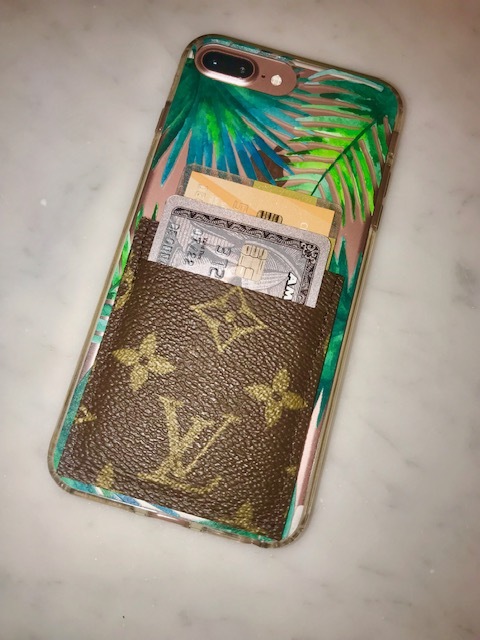 Tired of buying silicone or junkie card wallets? This will last! We are not affiliated with Louis Vuitton. This item is made with no longer usable bags and the canvas can have flaws, this is the beauty in repurposed items.